Over the past month, because of being gone for a conference and being gone visiting family (various iterations), I’ve developed a backlog of New Guns (ok, Guns New to Me) that needed to be taken to the range. The S&W 52 has been waiting the longest for its range trial, mainly due to the difficulty of finding .38 full wadcutters. They had to be ordered online, as none of the local gun stores carry them. But they had arrived and been stashed aside, in preparation for today. I’m still searching for a full instruction manual on the disassembly/reassembly of the gun, but I had been able to do at least some cleaning and oiling of it in the meantime. It shoots a dream. The trigger exactly what you’d expect in a gun that was made for bullseye shooting, and it is indeed that accurate. 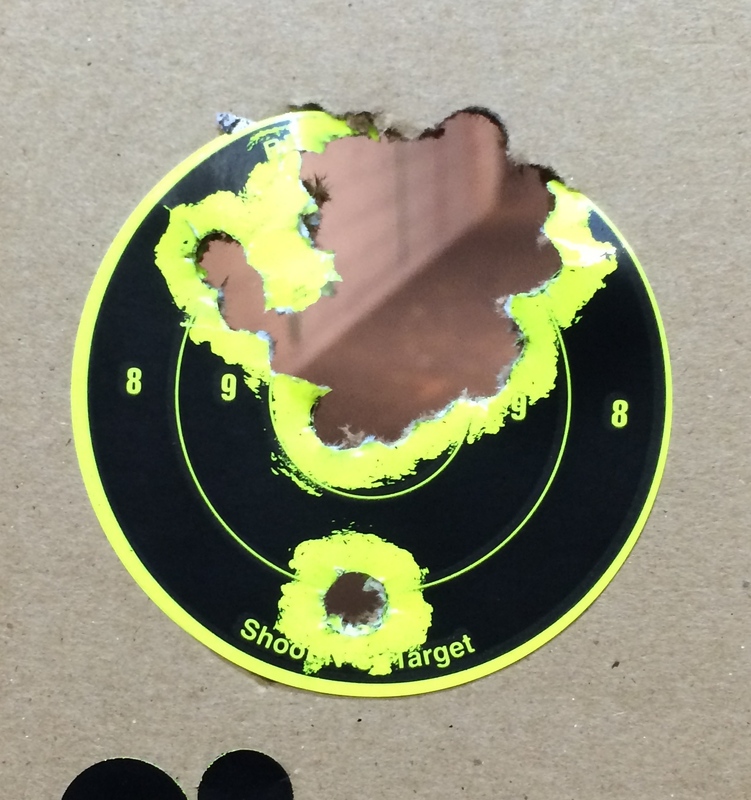 My first 10 rounds, followed by a later 25 rounds. Each magazine is limited to 5 rounds, so it’s easy to keep a round count. A box of 50 still goes way too fast. I’m going to need to quit caffeine on the days I want to shoot this one to its full potential! 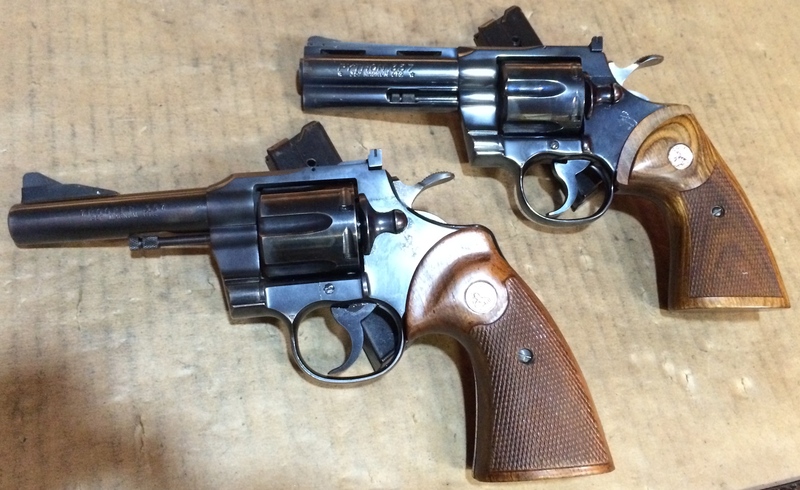 Next up was the Colt Python…my first revolver. The grip is very different, speaking as someone who is used to only shooting semi-automatics, but I got the hang of it quickly. Sorry, OldNFO…I’m keeping this one! 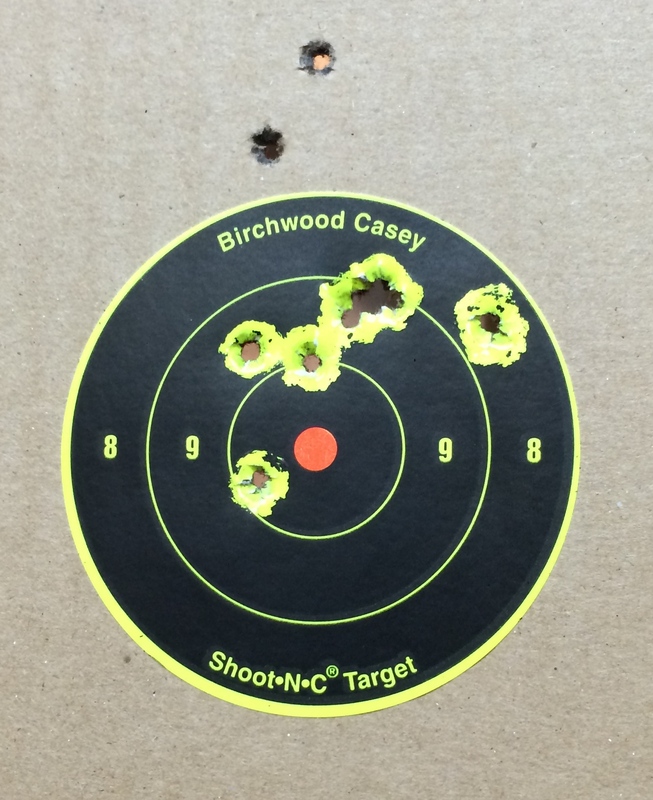 This is a shot of the first 20 rounds through that one. 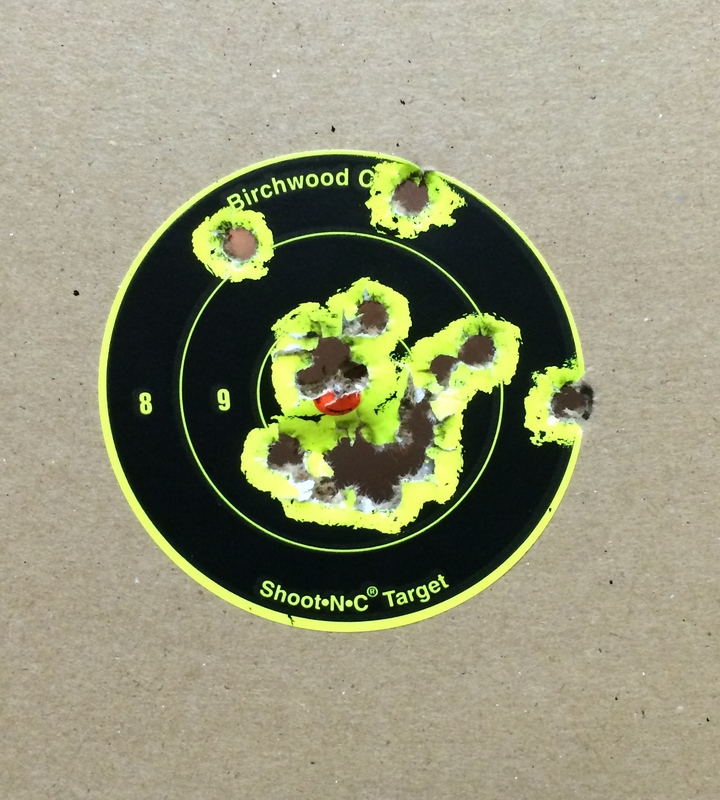 I must say…it shoots amazingly well! And here’s a shot of the Python sitting with the BF’s Trooper. Sort of a family outing for the revolvers today. The last new-to-me gun was the Colt Woodsman. Having only one magazine for it makes it a little cumbersome to put too many rounds through it, and it still needs a thorough cleaning, but it is a lot of fun. 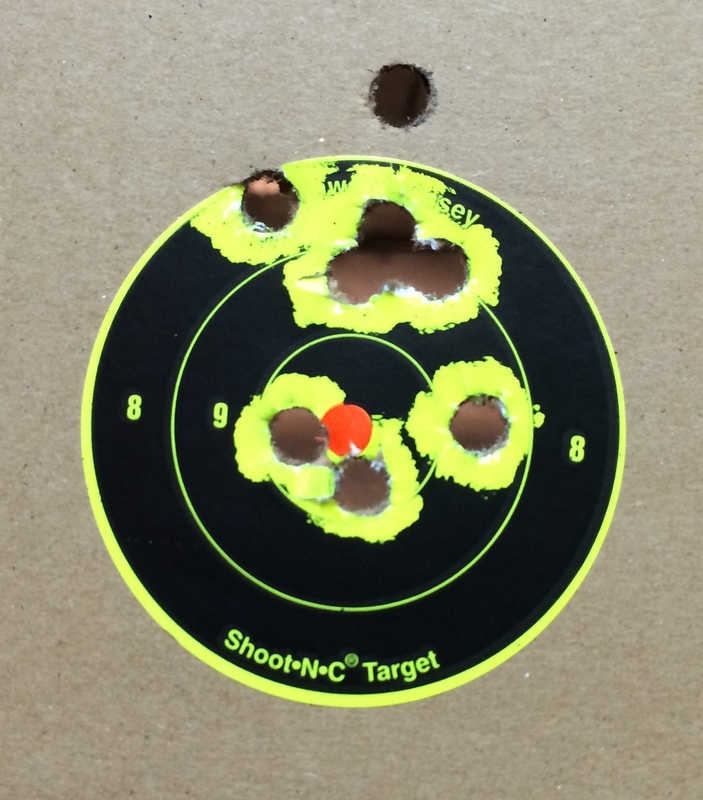 Finding the point of aim was a little more challenging on this one, because the sights are so tiny, but I got it nailed down fairly quickly. This is the first 10 shots through it. All in all, a great day at the range! Looks like a great day out, indeed.